If you want to tell us about or ask about a standard spec or restoration project....post it here. Two 'help' topics for all users, new and old: Active Topics and Tapatalk. strip down, spray & rebuild required. Lambretta series 1 & 2 parts interchangeable? 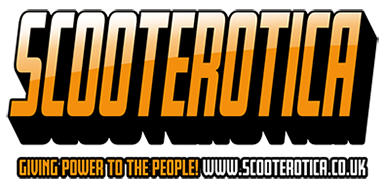 Just read the article in classic scooterist about the change to MOT/ taxation /registering a vehicle of historic interest. Someone mentioned to me that some TV200 wheel rims have a Trojan stamp on them ?? I`m bewildered to be honest :D :) ?? Building a sil 200 engine, I've got a spare 150 mag flange, is there any difference chaps? I`m a bit unfamilar with this type of rear unit ....Ive taken it out and the reflector is all peeled off.. Whats the best thing to do ? Quick question chaps, is a set of Li rubbers from casa worth double the cost of a regular set?